If you require a larger weight range specification, then our 10 Tonne Toe Jack is a fantastic option for safety, reliability and convenience. 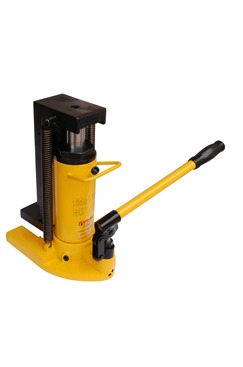 One of the greatest advantages of this HHQD-20 toe jack model, is that it comes complete with a handle and an overload pressure valve, both of which make it far easier to use. Our 10 Tonne Toe Jack is available to hire or purchase, which gives our customers the freedom to choose a payment plan which suits their needs. Quantity price breaks details can be found above. The first jack delivered had a slight leak of oil, SLG replaced it as soon as they could, and collected the old one. It does what I wanted it to perfectly, a useful feature is the pump handle can be swung through about 300 degrees so you can operate from anywhere, left or right. Recommended, price is good.